Denver Locksmith » Resource Center » Smash and Grab Burglaries on the Rise – Do You Know How to Protect Yourself? 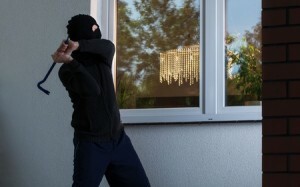 Smash and Grab Burglaries on the Rise – Do You Know How to Protect Yourself? With more than 20 smash and grab burglaries affecting small businesses in Denver in the last few months, businesses of all types and sizes need to take note and step up their security game. Police are investigating these robberies, but business owners should still be vigilant in light of these recent break-ins and thefts. Do you know what to do to protect your business? Many of the victims of the recent burglaries in the Denver area were robbed despite having security systems, but don’t let that deter you from having a system in your place of business. Every business needs a security system, but if you only have the basics, it might not be enough. Visible security cameras act as theft deterrents and, in many cases, they stop criminals in their tracks. Unfortunately, there is no security product that guarantees crime prevention, and sometimes smash and grab burglaries do occur regardless of whether cameras are present. If your business is robbed, having security cameras is extremely helpful in identifying a suspect. When you have security cameras, Denver police can review the footage and often identify the burglar. Security cameras can also aid you in determining what was stolen. In addition to security cameras, you can also decrease your business’s risk of being burglarized by strengthening its weakest points. Security window films make windows more resistant to intruders, and attachments prevent access by keeping even broken glass in its frame. It’s also important to make sure your doors are secure and have effective locking mechanisms. When it comes to security cameras in Denver, Colorado Security Products has the products and expertise you need. From helping you choose the best cameras for your business to professionally installing, maintainng and even monitoring your system, our security experts do it all. For more information or to discuss your business security needs, please call 303-756-1000 now.